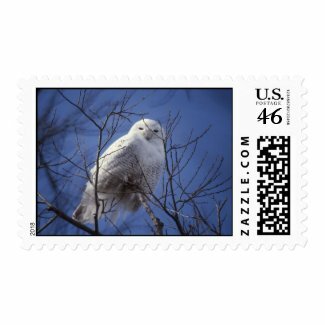 It is amazing to me that one is able to have REAL, usable, US postage with a special image! 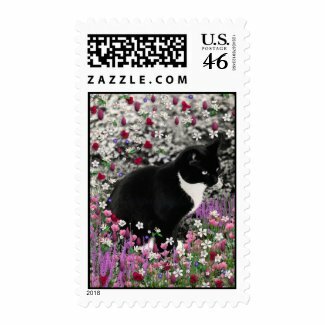 This postage offered at Zazzle is official US postage. Each image must be cleared with the US Post Office before it can be available for sale. Each of my shops have postage in different types of styles. 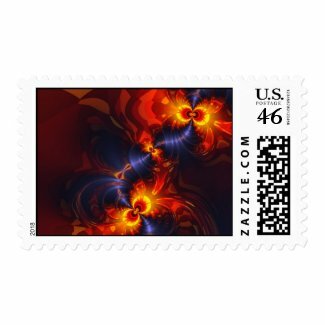 This page is to make it easy for you to choose from lots of postage at once. Freckles is my long time kitty companion and he has traveled all over the world from people choosing him! Here he sits gracefully in flowers as he waits to bring a letter anywhere in the world (as long as it leaves from the US). There are many more animals available – pets (cats and dogs) and some wildilfe. Butterfly Eyes is an amazing Fractal that has these gorgeous eyes peeking out at you! Butterfly Eyes is mostly in my Holidays shop under Halloween and there are also some in my regular Fractal shop. These vibrant yellow, red, orange and amber eyes turn into butterfly wings at the edges of the eyes. And a lovely violet matrix connects the eyes. Wonderful for adults and children alike. Snowy White Arctic Owl is a lovely photograph taken by a life long birder. This amazing startling blue sky with the stark white bird creates a stunning image that commands attention. This owl is always a favorite with many people. Angels come in all sizes and shapes! These slightly old fashioned angels float gently through delightful snowflakes as they blow their trumpets and horns. This is a great reminder that angels are all around and easily available – all we have to do is ask for help and they will support our energy. This cute angel image is fun any time of the year and sure to be a hit around the holidays and Christmas. There are many more of my paintings on real US postage if you would like to check them out. There were no results returned by Zazzle. 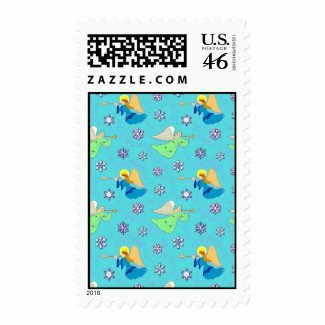 This can be caused by an incorrect store name, going to an invalid page of paginated results, or due to a bug effecting Zazzle that causes storefront and feed results to be cut short.